How and Where to Find a Serious Psychic Online ? Esotericism is a several billion dollars industry. Not surprising so many people one day find themselves waking up with extraordinary psychic abilities. So my first advice is beware. Fake psychics are numerous. Here’s a complete guide on what you should do before you give out a single cent to an online psychic. Oh, by the way, I’ve been consulting psychics for the past 20 years. I. What type of psychic sessions ? Although it’s perfectly possible for a “true” valuable psychic to answer questions using emails, this type of consultation is not recommended. Here’s why. Email consultations ask you for (at the least) your first name and email. Sometimes other questions are asked like “do you have a pet”(! ), “what’s your job” and so on. Without being aware of it, you’re, in fact, filling a survey ! Your personal informations are used to send you other emails with all sorts of proposals. It’s a wellknown marketing method. 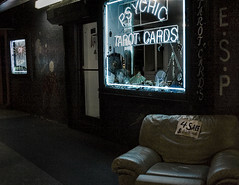 My advice is you should avoid using email when hiring a psychic online.